On the day Ofcom revealed that smartphone use has jumped from 30% to 62% in the four years since the last football World Cup, and 30% of the UK goes online using a tablet, the people behind popular streaming app TVPlayer are reminding users that they can watch the action broadcast on BBC One and ITV via their app, for free. The BBC revealed earlier this month that programme requests in April 2014 from tablet devices outstripped PCs for the first time and the trend to tablet viewing is something that TVPlayer seeks to exploit this summer, with sports events topping the viewing figures on the service. Ofcom confirmed today that "Brazil 2014 will also be the first World Cup to see significant use of tablet computers to follow the action. Nearly a third of adults (30%) now use tablets to go online, while the first Apple iPad had only just launched before the 2010 World Cup." The most popular shows on TVPlayer in May included the UEFA Champions League Final, the FA Cup Final Live as well as the World Championship Snooker, proving that live sport is pulling in mobile, tablet and PC users. Marie Ellis, Marketing Manager for TVPlayer, says: "2014 will see a rise in consumers watching the biggest football event of the year live across multiple devices. With the games broadcast throughout the day as well as in the early hours in the morning, TVPlayer offers football fans the chance to watch live matches whether they are at work or even at home in bed." TVPlayer's coverage of the World Cup coincides with updates to the app, including push notifications so that TVPlayer can keep viewers up-to-date on all of the summer highlights, which includes the World Cup, Wimbledon, Royal Ascot, Silverstone, the Commonwealth games and the Tour de France. Due to legal restrictions, the World Cup coverage on BBC One and ITV will only be available using a wi-fi or ethernet connection. 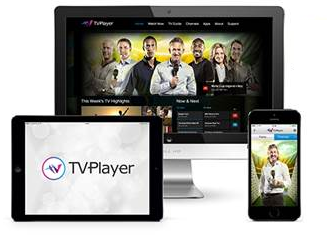 TVPlayer is available from all major app stores and is soon to launch via channel 241 on Freeview, showing a range of channels not currently on Freeview. TVPlayer will be rolling out additional channels across its platforms extending its portfolio of content to consumers. Pity it won't stream to a Chromecast yet.